The smile plastered on Sherdan’s face said everything as he waited for Anya to come back. He’d just told Anne and had a small picnic thrown together to put in his car. Mostly wine and nibbles. He’d also informed his security that they were going out. He didn’t have to wait too long before Anya came back and he led her to his personal car. He had a two seated Jaguar that he used to drive for fun when his country wasn’t so blocked off. It had stood in his garage ever since. Finally it would get some use. Sherdan opened the door for Anya to get in. The small picnic basket was already in the boot along with a blanket, for him to surprise her with later. As he thought of this his grin grew even wider. Nathan activated the tunnel switch for them from the security desk and Sherdan drove them down his escape route and out into the heart of a Bristol suburb. Neither of them said anything until they were out on the road. “Have we just illegally crossed a country border?” Anya asked. Sherdan nodded. He could hardly believe his luck with Anya the last two days. Since he’d decided to try and convince her of his feelings the more traditional way she’d been increasingly more cooperative. It had been a very easy two days so far, although he hadn’t actually finished his work for the day. Once he’d had this idea, he had dropped everything and would need to return to it later. He drove towards Bath and then slightly south into a quiet little village called Southstoke, before parking his car and helping her out. As he pulled the blanket and basket out of the boot Anya gasped. “When did you get those?” she asked. “While you were in your room. Now, I think it’s this way… I’ve got a torch. Here, do you want to light the way?” Anya took the torch Sherdan offered. “There’s a little look out that’s very pretty, either night or day. It’s not far but well worth visiting.” She nodded and walked with Sherdan, lighting the path for both of them. They walked through a kissing gate onto a farmyard track that led off and up hill. After less than five minutes walking, Sherdan veered off through an open metal gate. The trees on that side had opened up, showing them that they were high up on the side of one of Bath’s hills, overlooking a valley. He led her around a mound in the grass to a semicircular stone bench built into the hillside. Rather than sitting on the cold stone, he spread the blanket on the ground in front. After positioning the basket within his reach he sat down and lent against the bench. Anya was staring out at the night in front of them. It was a clear night so a full set of stars could be seen. He waited for her to finish drinking in the view. When she turned to see where he was, he patted the blanket beside him. She smiled and sat down. “What if someone comes and recognises you?” Anya asked. “Good. I’d hate for you to get arrested.” Sherdan didn’t know what to say and reached for the wine and glasses. He poured some for both of them without even asking if she wanted any. He made sure he only half filled his own glass. He didn’t want any accidents when he drove her later. They sat drinking the wine and enjoying the food. They didn’t eat a lot but it was nice to pick at the grapes, cheese bites and chocolate covered strawberries. “I know. I understand more than when I arrived. I’m sorry I was so awkward the first few weeks.” Sherdan almost choked on his wine in shock. An apology was totally unexpected. He poured her some more wine to recover and looked out at the sky. It occurred to him that she didn’t know his power had disappeared roughly the same time as hers had appeared, but he couldn’t bring himself to say anything. “Have you been practising your ability at all?” he asked, trying to lead them to the subject. “Nathan says I’m picking it up quickly.” She beamed. He was pleased. She’d found something to amuse herself with while he was gone. The more she did that she enjoyed, the more likely she would stay. It would take years for karate to be beneficial to her in a real situation, but he wasn’t going to burst her excited bubble. Sherdan snapped out of his thoughts when he noticed her shivering. She’d finished her glass of wine so he swallowed the last gulp in his and began packing everything back up. He didn’t want her to catch a cold. Anya lit the way back as soon as they were ready to leave and they were soon back at the car. He felt a little exhilarated from the danger of being out on British soil but they’d seen no one the entire time, not even a dog walker or two. “We shall see. It may never be possible.” They lapsed into a silence which lasted all the way back to the house. Normally Sherdan didn’t like silence but it felt different with Anya. He felt comfortable being quiet in her presence. She said a lot with her body language and, at the moment, she was very smiley and content. They walked back into the study and he found himself hugging her. He said goodnight as she yawned into her hand. She wished him the same then pattered off to leave him to his work. It had only just gone eleven so he wouldn’t be as late to bed as he had been most of the nights recently. He would need to push his thoughts of Anya out of his head, however, as they would be very distracting. She’d made him a very happy man that evening and given him hope again. When he picked his laptop up he found an email from Hitchin. He’d looked over Sherdan’s MRI and not found anything wrong. He wanted to do more tests, as Sherdan expected, but he was beginning to think it was just fatigue stunting the ability. At the least it was the most plausible explanation so far. Sherdan spent the next few hours planning the growth of his country and how they would build bomb-shelters for the new homes. Not all the latest residents had somewhere safe to go if more soldiers were air-dropped in. He also briefly looked at the new abilities. He had a small team working on coming up with some kind of air defence which kept planes out of his air space but didn’t harm anyone. At two in the morning he went to bed. He had to be in the command room at an earlier time the following day. He really hoped he’d get some kind of lie-in at some point soon. He wouldn’t survive on five hours or less sleep each night for much longer. The next two days were a blur for Sherdan. He’d contacted the UN again to try and get them to recognise his country. There still wasn’t anything which gave an indication either way. The European diplomats were still discussing things in their emergency meeting. Sherdan hadn’t done any more tests yet, preferring to spend time with Anya and Antonio, who were now inseparable. The little kitten went with her from room to room and curled up with her or encouraged her to play whenever she was still. He’d thanked Nathan for his ideas as well as teaching Anya the martial arts. So far the combination of time spent with both men and the kitten was having a good impact on her. She had been smiling a lot more and she’d told Sherdan she’d had two nights in a row without nightmares. He hadn’t managed to tell her about his ability disappearing yet and he hadn’t wanted to bring up her faith since he’d called her closed. He didn’t want to argue with her now that everything had improved so much. There hadn’t been any attacks on Utopia either, which was unexpected. He hoped it meant a step forward in his plan, but the Prime Minister hadn’t returned his last two phone calls so Sherdan couldn’t tell for sure yet. Anya greeted him very enthusiastically on Thursday evening when he arrived back home, hugging him as he walked into the study. Neither of them had eaten yet, despite it being after seven so he led her through to the dining room before she could say anything to him about her day. He noticed Antonio got up and padded silently after them. “There was lots about Utopia in the news today,” Anya blurted out, practically bouncing in her chair with excitement. “The European Union have decided we’re not a threat and have advised the United Kingdom to stand down and negotiate.” She beamed. Sherdan didn’t know whether to feel more pleased that the country was making progress or that Anya had said ‘we’ and included herself as part of the country. Anya told Sherdan everything else she’d learnt that day while they ate. She’d spent most of the day on the net and had a whole wealth of information. He couldn’t help being impressed. “When are you going to let the world know about your abilities?” she asked as they want back to the sitting room. “Soon, but not until we’re established as a country.” He sat down at his usual end of the sofa and waited for Anya to join him. She picked up Antonio and plonked herself down right next to him instead of the opposite end of the sofa. He put his arm up on the back of the sofa behind her in response. They watched some TV like that for the next hour or so. Sherdan didn’t want to do or say anything that might make Anya move away. He liked having her relaxed and so close to him. When there wasn’t anything left on TV either of them wanted to watch, Anya flicked it off. His arm was still on the back of the sofa. “What would you like to do, we still have a few hours?” Anya asked. “Sounds wonderful.” Sherdan didn’t hesitate to get up and find the relevant disc. He put it on and returned to his position beside her. He’d picked another opera knowing how emotional it had made her seeing the last one. She’d been a delight to spend the evening with afterwards as well. Hopefully he could recreate the atmosphere this time too. The opera was Madame Butterfly; very sad but hopefully easy for her to relate to. It had the desired effect and Anya’s eyes weren’t dry by the end. Sherdan handed her a tissue as he pulled his arm a little closer around her. “I’m sorry, the music was just so moving,” she said once she had dried her eyes. “I’m very glad you liked it.” He looked down into her upturned face and held her gaze. They smiled at each other before she dipped her eyes down. He could sense her nervousness but she didn’t pull away or even turn her face from him. He hesitated. He wanted to kiss her and he thought in that moment she might finally be receptive but, now it came to it, he felt unsure of himself. Anya got up and picked up Antonio again. It took all Sherdan’s self restraint not to swear out loud. He’d missed his chance. “I should get some sleep, it’s late.” Anya smiled half-heartedly and quickly left the room. It had only just gone midnight and was about an hour before she had been going to bed recently. He stayed sat where he was for a few minutes wondering what had gone wrong. Maybe he’d been too quick. It hadn’t been long since he’d first started trying to put the effort in with Anya again. He resolved to go a little slower but he definitely wasn’t giving up yet. Sherdan sighed and fetched his laptop to carry on working. He had yet another email from Hitchin reminding him to come in for more tests and informing him of all the new abilities that had developed. As usual, he wrote all the new names in his book. The list of enhanced people was growing nicely again and there hadn’t been a single death lately. Admittedly, they’d been a lot more careful about who they gave the enzyme too. Having a much larger pool of people to accept from they’d been able to reject any they thought might die. Sherdan ignored the nag for tests and went about the rest of his work. He was doing a live TV broadcast the following day from his study. He still didn’t intend to reveal the abilities and enzyme but lots of news teams wanted to interview him about taking more land and sneaking in so many more people. Utopia was completely unstoppable and not a single person had been harmed during the entire war. There was also all the soldiers they had locked up. They still lived in the cells at the guard buildings he had dotted all over the land. The cells were almost full but, so far, no more soldiers had attacked. Something would have to be done with them soon, however, several had started trying to escape. 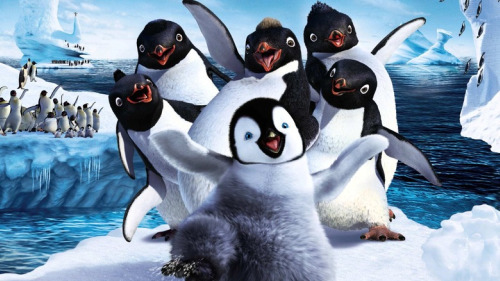 While none had succeeded, escapees would tarnish his otherwise perfect reputation. Sherdan dealt with as much work as he could manage before his eyelids drooped and he caught himself falling asleep on the sofa. He shut down his laptop and got up. His thoughts automatically returned to Anya. He really felt a little lost concerning her and wasn’t used to feeling this way where women were concerned. 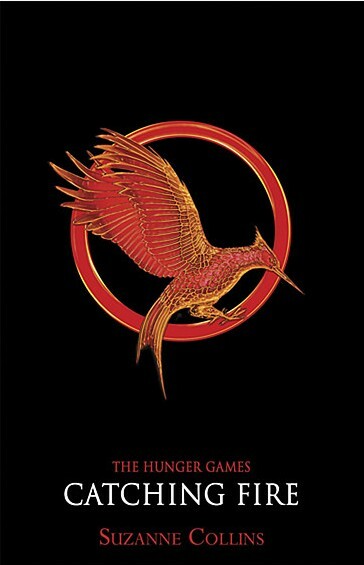 This is the third and final book in the Hunger Games series. I’ve reviewed the previous two books recently so here’s what I think of this one. This book started almost exactly where the previous one left off rather than having a gap like the second did before it started. Katniss is the main focus again, as to be expected, and it follows her emotions and journey with all the turmoil caused in the first two books. I found this the saddest of the three books by far. Although Katniss was hurt less and she didn’t do anyway near as much killing of innocent people in self defence as she had to in the previous too there was a lot of other pain and emotional crap thrown her way. The effects of being the people’s icon and hero shows more on her in this book and she buckles under the pressure. A lot of the book she seems to spend trying to hide out of the way and not have to interact with society. While I know she’s been through a lot it really annoyed me. I wanted her to be actually thinking about what wa going on and trying to make a better life for the humans rather than allowing both governments to use her as a pawn. I also really didn’t like that the new government trying to seize power were just as bad as the previous one. I know humanity can be that crap in reality but it did feel a bit like a kick in the teeth that after three books of epic struggles the people at the top were still just as nasty. And the worst part was that Katniss just didn’t seem to see it coming. I actually think her self absorbed actions cost her some of the things she held dear and badly effected the people around her and I lost respect for her because of it. Over all it’s still a good book and well written I just didn’t like it as much as the first two and wished Katniss had grown more of a backbone outside of battle arenas so she was more believable in them. She hoped he accepted her excuse. It had only been half true. She wasn’t very practised at painting or drawing people. Practice would be good for her but she didn’t think Sherdan would appreciate it if it wasn’t really good. She didn’t like that kind of pressure. She felt her muscles ache and complain as she climbed into bed. She’d had a second martial arts lesson with Nathan that morning. He’d insisted she was picking it up quickly. He went over all the blocking he’d taught her the day before and followed it with some new moves. Her fitness let her down, however. The following day’s lesson was similar, although thankfully she ached less than the previous two days when she was released from her lesson. She put it mostly down to getting a better nights sleep than she had for a while. She’d been thinking of her art before bed, thanks to Sherdan, and it gave her the emotional release she needed. She’d almost had to wake him again that morning as he’d overslept his alarm for the second day running. Something inside her knew that wasn’t like him. He had been working too hard lately and couldn’t keep it up. She felt sorry for him. The second request he’d made of her bounced into her head. He’d been very interested in what she’d seen on the news. She could keep watching and reading to find him info. It would help him make informed decisions but it wasn’t helping enough to make her feel like she might be doing something wrong. She took his laptop through to the sitting room and turned the TV on. She’d have the twenty-four hour news channel in the background while she read through the online news report. If she finished that she’d start reading relevant blogs by influential people. Anya felt really good when she’d made several pages of notes a few hours later. The news was full of reports on the influx of residents to Utopia and Sherdan’s seemingly unstoppable progress. Even the retaliatory attacks were considered a waste of time by the news in general. All they did was provoke Sherdan. At noon, Anya watched as Sherdan’s people expanded their territory again in response to the attempted invasion the night before. As the next few hours of events went by, the news team began interviewing people. Almost everyone was suggesting that the army stand down and negotiations should begin. To Anya’s surprise, the European union were planning an emergency meeting for the following day. Sherdan hadn’t applied to them for recognition within Europe, just to the UN. So far they UN board had not given any indication either way. It gave her a greater sense of purpose to be doing something with her time and she found the day passed much faster than they had been. She’d enjoyed finding out the public’s opinion on Sherdan. He had a lot of support among the general population but a lot of politicians didn’t like him. She had to eat dinner alone, as she had often done recently, but she was heading back to the sitting room to continue her work when Sherdan arrived back. “Good evening,” she said as she walked towards him. She stopped as she noticed he was carrying something small in his arms. “Good evening. I have something for you, to help with the loneliness.” Sherdan held out the tiny little ginger kitten towards her. She gently took it from him as it mewled at her. “I think this is the fluffiest kitten I have ever seen,” she said, unable to help but smile. “Thank you. He’s beautiful.” She kissed the top of the kitten’s head and stroked it. It elicited a second meow before it began to wriggle in her hands. She gently lowered him to the ground and let him go. “There you go. Now you can explore your new home.” The kitten gently took a few steps forward, sniffing at the unfamiliar surroundings. “What do you want to call him?” Sherdan asked as they watched him explore. She nodded still watching the kitten as it crawled around underneath one of the chairs. Suddenly she looked straight at him. He smiled at her as she hugged him. She wasn’t sure why, but she’d always wanted a cat. Now she had the cutest, fluffiest one she’d ever seen. When she stopped hugging him she went straight back to watching Antonio explore. He’d now made his way to the doorway into the sitting room and she followed the little creature. Sherdan wasn’t far behind. “Perhaps you can tell me about it all while I eat something. Have you already eaten?” Sherdan replied. “No that’s not necessary. I’ll have food in here with you and our latest arrival. That way we can watch him together as well.” Sherdan sent for Anne and sat down on the sofa beside Anya. They laughed together at the kitten’s antics as he tried to get up beside them and play. He got his claws stuck in the side of the sofa and found he didn’t know how to fully retract them. As such he stuck to the side, unable to go up or down. She lifted him off, set him down beside them both and stroked him as Sherdan reached out to do the same. Their hands brushed against each other until she pulled hers back. Anya blushed as she thought of all the film scenes where the same thing happened. She blushed and stared at the kitten. Thankfully the awkward moment was relieved when Anne brought in dinner for Sherdan. He had to stop stroking Antonio to take the tray and place it on his lap, giving her a moment to compose herself. She fetched her notebook from a nearby chair and skimmed through it to remind herself of some of the things she had read and heard that day. The notebook was fuller than she expected and she had take in a lot without realising. Sherdan had long finished eating by the time she’d told him everything. “And what do you think of what I’m doing?” Sherdan said when he realised she’d finished. “You already know my opinion on that.” Anya sighed. Sherdan couldn’t see the error of his ways and was so closed in terms of what he thought. “You know we’re both as closed-minded as each other. Maybe we could both do with being more open?” Sherdan suggested as he got up. He left the room to take his tray back to the kitchen, leaving Anya to feel indignant at his assertions. She felt tears sting her eyes and sat back, shocked at her own emotions. She resolved to turn the subject back to more amiable conversation the second Sherdan came back but it was some time before he walked into the room again. When he did, he had two bowls of chocolate ice cream. “Anne informed me you hadn’t eaten any dessert. I fancied ice cream. It’s got chocolate brownie chunks in it.” She took the peace offering gratefully and smiled. Chocolate went down well with most women and she was no exception. They ate in silence until they were both finished and had put their bowls down. The kitten had provided enough of a distraction as it continued to get used to it’s new surroundings that the quiet wasn’t awkward. She’d never have expected someone like Sherdan, with all his antique furniture, to like the idea of a pet. “Did you do any artwork today?” he asked, stirring her from her thoughts. “Actually, it did make me happy. I really enjoyed researching.” Anya smiled in reassurance to Sherdan. She could hardly believe how nice he was being to her. A part of her expected him to change back to the controlling version of himself at any moment, however. “I have some more work to do, but I’d appreciate some company while I did it, if you want to join me in the study?” Sherdan asked. She thought about it for a moment, considering saying no to stay and play with the cat, which had climbed up onto the coffee table. “Yes, I can draw from in there as easily as here,” she replied instead. It had plagued her conscience that she’d not been kind enough. Being in the same room as him would do her no harm. She followed him into the study and picked up her pad and pencils. When Sherdan had sat himself in his usual chair and put both his laptop and documents nearby, she sat somewhere so she could glance at him without him noticing too much. A smile spread across her face when Antonio followed them. He evidently didn’t want to be left alone. He soon settled down by her feet and curled up against the leg of the chair. She flicked to the next spare page in her sketch book and began to roughly sketch Sherdan’s outline. It took her quite a few minutes as she didn’t want Sherdan to notice her staring at him. Thankfully she managed to get his outline done before he looked up from the document he was reading. “I’m sorry, I’m not talking much,” Sherdan said. “That’s okay, I don’t talk much when drawing either, and the sooner you’re done working the sooner we can do something more fun.” Sherdan smiled at Anya before picking up his pen and going back to the document. He made notes while she slowly drew him. Half an hour later she had a picture of him she wasn’t that impressed with. Sketching him from one side was helping in some ways but not in others. No matter how hard she tried she couldn’t get his mouth right. He soon reached for his laptop and placed it on his lap, completely changing a lot of what she’d drawn anyway. Anya gave up, flinging her pencil and pad down. She sighed. Sherdan looked up at her but she avoided his gaze. She didn’t want to disturb him from his work. Instead, she got up and went to the nearest bookshelf to read the covers of the many books Sherdan had. She wasn’t surprised to see ‘The Origin of Species’ by Darwin. It occurred to her that she’d never even flicked through it. Anya went to pick the book up before remembering she’d been forbidden from touching his older paper books. Another sigh escaped her. “You’re bored,” Sherdan said, making her jump. “A little. I don’t really leave ever. The house I mean. I’m in these four walls daily.” Sherdan looked thoughtful. “Give me a few minutes to finish this.” He went back to his laptop and tapped away at the keys. Anya patiently went to stroke her kitten. It mewled as she started running her hands over it’s very soft fur. It made her heart feel a little lighter as she knelt, making a fuss of the gift he’d given her. She decided then and there to have Antonio up in her room when she went to bed. It could keep her company and might even provide enough of a calming presence that the frequency of her nightmares would reduce. Suddenly, Sherdan got up. He paused for a moment, lost in thought, before snapping back and looking straight at Anya. “Take Antonio through to Anne in the kitchen and ask her to look after him, then go up to your room and fetch some warm clothing and shoes.” Anya nodded and picked up her cat, snuggling it to her. It didn’t take her long to head through to Anne who seemed to be expecting the kitten. A litter tray and food was already laid out for him. She placed him down in the tray so he knew where it was and thanked Anne for being so prepared. It took her a little longer to find warm clothes. She didn’t have much in the way of warm clothing and she couldn’t decide between two jumpers at first. When she realised she’d been gone over ten minutes she grabbed her coat and shoes, and rushed back to Sherdan’s study. He still waited for her there and smiled as she walked into the room. “So what are we doing?” she asked. “You’ll see. Come on, get your shoes on.” She did as she was told, feeling unexpectedly excited. She’d been cooped up so long that whatever Sherdan was planning she thought she’d enjoy it. As soon as she got to her feet again he took her hand and led her out of the study. He didn’t explain but she didn’t complain. It starts a few months after the last one and goes through the after affects of the first and katniss’ reaction to everything that has happened. It follows a pretty similar plot formula to the first but thankfully doesn’t over describe anything already talked about in the first. I don’t mind a book that mentions a few things that readers of the first know but some feel they have to explain everything again. This sequel really doesn’t do that. You pretty much have to have read the previous one to understand exactly what’s going on. It also started to grate on me that these have all been written in first person but that may be because I’m reading them in such a short space of time. The new characters in this book are brilliant. They are funny quirky and endearing and thankfully more of them survive the events of this book. Something that was a defintie down side of the first book. It’s hard to stay attached to characters when you know they are going to die. Just like the first I had to pick up the next book right away. I will be reviewing that shortly. I can hardly believe we’re 12 days into November already. So far I’ve managed a total of 30,154 words, comprising of over 13 chapters and 43 A4 pages of text. 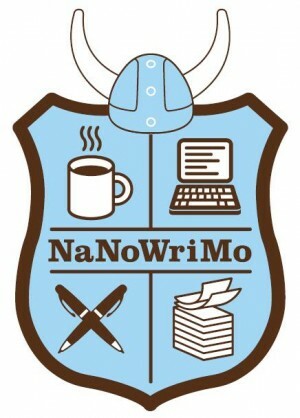 In the first week of Nano novelling I managed to write 21,742 words, about 2k more than I wrote in the first week last year. According to the stat calculator on the main Nano website I’m due to finish around November 19-20th at my current average per day. The story is going well too. I actually feel like I’ve got some really good stuff written and some brilliant dialogue. Writing a sequel has also been interesting. Until now I’d only ever written stand alone novels so to write something with characters I already know and respect has been great. I’ve found it’s made it really easy to just dive in and let them take the book where it needs to go. 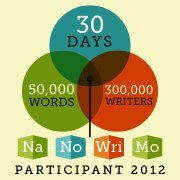 I’m hoping to finish my second week of writing on about 37.5k or maybe a little more. My third week will probably be a little lower as I’ve got several interruptions but with any luck I’ll still get very close to finishing the 50k target sometime around the end of the third week and then keep chomping away at the rest of the books word count. With any luck I might even get so far in that I can finish this book this year. 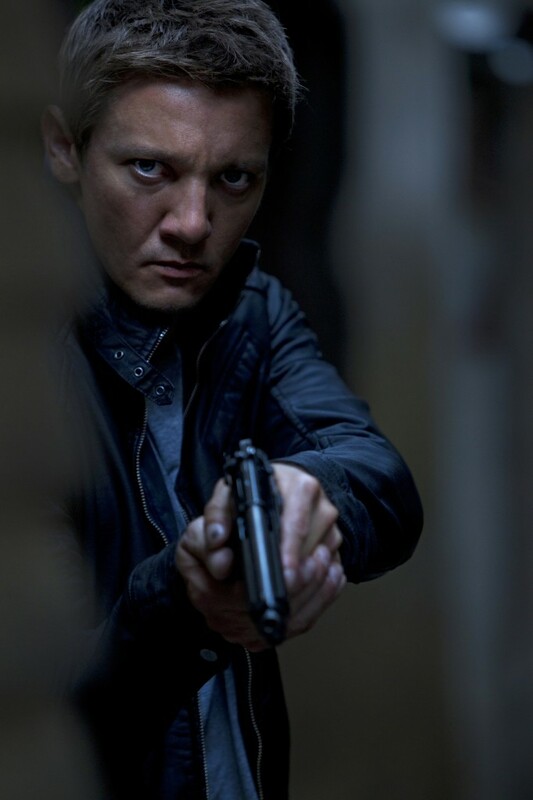 This is the fourth film in the Bourne series although it doesn’t actually feature Bourne except for one instance where they show a photo of him taken from the passport in the first film and a couple of mentiones of his name. The film follows on pretty much from where the third left off and follows the after affects of Bourne’s happenings in the third film, The Bourne Ultimatum, with a few scenes cut directly from there. Aaron Cross is our new main character who is almost complete in his training in a not too different program to Bourne. He suddenly finds all the other trainess are dead around him and, just like the first three films, he then spends most of the film trying to survive while the US government use every resource they’ve got in an attempt to have him killed. So nothing particularly new from the plot, but that’s not entirely a bad thing. At least it’s equally well done same plot. This film does focus a little more on the training side of things however, showing Bourne’s name scratched into a bunk where Aaron rests during training and it also goes into the science a good bit more behind how they get these super assassins. Our damsel in distress turns out to be more interesting too. She’s got a brain and while not a killer manages to handle herself with much more dignity and sense than a lot of damsel’s do. I found myself liking her even more than I liked him and usually damsel in distress grates on me. It’s not really as good as the first three but I was still entertained and I’m really interested in what might follow. They’ve left it open for a Bourne + Cross fifth film and I confess, that I would love to see. The hostess encouraged people into their seats as Sherdan moved to the front of the train. He would need to change into a drivers uniform and alight with the driver. He didn’t want to raise suspicion too soon. The driver was none other than the man who’d picked Sherdan up on his last train journey. He would come with them this time. His family were aboard the train and also joining them. Sherdan had soon put on his new uniform and was standing with the chauffeur as the train pulled up. He couldn’t help but smile at what would happen over the next few minutes. So many people were going to be so surprised. The train pulled to a stop in the station and Sherdan jumped down. He glanced around before hurrying towards the back entrance. He could hear other people beginning to disembark behind him. The hostesses on the train would also act as guards for everyone following him. He pulled a radio out of his pocket as soon as he crossed the border of his land. “I’m back. Proceed with the plan,” Sherdan commanded. He stepped out into the road as his usual car came sweeping up. It drove him straight to the command bunker where everything was being coordinated. His men would already be overseeing the arrival of the new residents. He was eager to go head up the task before getting back to his home and Anya. He’d not seen her properly for several days and he found himself missing her even though it saddened him that she was so distant. He snapped himself back from his thoughts of Anya as his car stopped and his chauffeur opened his door. There was work to be done and he had a responsibility to all those eager, happy people he had met today. The smile on his face was broad as he walked into his command room. It remained fixed as Graham filled him in on what had happened during his journey. He could see everything that followed on the screens. Rows and rows of people walked into his country, while the army just stayed and watched. They could do nothing. It only took half an hour for all the new residents to arrive. They were driven to their new homes where they were given the evening to settle in and explore their new country. He’d had welcome packs made up for each new home and the guards were out on the streets patrolling the new areas especially. Sherdan stayed in the command room even though he wasn’t needed. He expected the army to attack again after what he’d done. There was no doubt that if taking the houses had made the Prime Minister angry, then sneaking in almost one thousand UK citizens would tip him over the edge. If he had any sense then he wouldn’t attack Sherdan again as it would only lead to more of the same, but Sherdan didn’t expect him to think like that. They would attack again, he was sure of it. While he was waiting, Sherdan went to see Hitchin. It was gone five in the afternoon but he knew Hitchin would still be working. The labs were his second home; perhaps even his first. Hitchin was with the latest residents to take the enzyme when Sherdan arrived so he waited for his friend to finish. He didn’t have to wait long. 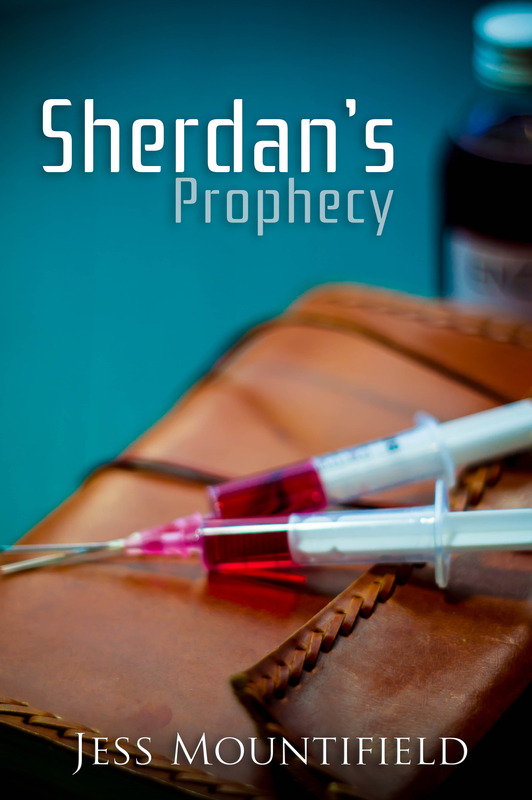 Hitchin was not the kind of person to ever keep someone like Sherdan waiting. “So, shall we go do those tests now?” Hitchin asked, before Sherdan could say anything. “Tell me it again.” Sherdan smiled trying not to show his anxiety or doubts. He didn’t want Hitchin to realise he wasn’t sure of the whole thing. Although, he had no idea why he was so uncertain. Hitchin repeated the whole vision again in pretty much the same way he’d told it the first time. Sherdan sat, listening and hoping it was true. He was more concerned about winning Anya than he was that his ability had gone, although Hitchin was evidently more worried about the tests and soon turned the conversation back to that subject. “So I’m an anomaly?” Sherdan asked. Sherdan smiled as he nodded his understanding. He felt relieved that at the least it only appeared to affect him. Everyone else was growing in their abilities. More tests would reveal what was wrong. As Hitchin had requested last time, they went straight for an MRI. While he was lying, being scanned, he thought about all the things Hitchin had told him in the last hour. Anya had them both confused even if Hitchin didn’t want to admit it. She kept claiming everything was her God. Whatever it was that had brought her to him and given her an ability, despite her not taking the enzyme, it seemed to want her to have the upper-hand and wasn’t going to allow him to control her. He had only one option open to him. He’d have to win her over the old fashioned way, with romance. Hitchin wanted to do further tests after the MRI, but before Sherdan could let Hitchin study his brain further they heard the sound of an explosion. They were being attacked again. Sherdan leapt up and ran towards the command centre without even saying goodbye to the scientist. The assault he’d been expecting had finally come. The radio in his pocket called for him just before he pushed open the door and walked into the command room. “Bombs and missiles, no paratroopers yet,” his commander said swiftly. Sherdan nodded and went to his station, awaiting further information. The rest of the evening flew by in a haze of bombings. As usual, the army was completely ineffective. The only problem that arose was calming the new residents who got scared. A few of them left their houses and refused to go back inside until Sherdan dispatched a security team to help calm them down and get them back to a safe place. The patrols had stopped only half an hour before the attack. By the time Sherdan could leave his duty station and go back to his home and Anya it was almost midnight. He didn’t expect her to still be awake. As normal, his work was getting in the way of spending any time with her. He knew it had to be this way but his heart felt heavy nonetheless. He went to pour himself a drink and take half an hour to unwind before he slept. He could sit and think of ways to endear Anya to him. He had just got comfortable in his favourite chair when he heard the soft pad of familiar feet on the carpet. He looked up to see her in the doorway. “Good evening. You’ve been very busy,” she said. He smiled. “Have they said much?” he asked. She laughed and nodded. “More of the same. While they continue to attack we will continue to expand. I hope the UN will recognise us before it gets too out of hand. Our case is stronger now we have both extra ground and over fifteen percent more citizens,” Sherdan said, being truthful with her. “Well, I best get some sleep and let you do the same.” Anya walked towards the door. After a brief pause she came to sit near him. There was a silence as she simply sat still and waited. He racked his brains for something to say to her. “How is your art going? Do you still have everything you need?” he asked. She hesitated before nodding. “Good. I know it’s hard for you to be here. If there is anything else you need or want to make things easier just let me know.” Sherdan smiled as she looked up at him. He’d surprised her and he hoped it had a lasting impact. “Can I see some of your work?” he asked. She nodded and went over to his desk. He hadn’t noticed before now that her sketch book was lying there. She passed it to him and sat back down. He smiled at her as he opened the first page. On it was a relatively simple sketch of a vase of flowers. They were roses but the petals looked like they were melting and dripping onto the surface below. He flicked to the next page where there were just a few doodles of patterns and single items. He recognised one of them as being the pattern on the ceiling in his dining room. The third page held his attention for some time. It was a winged man standing on the edge of a cliff. Sherdan wondered if it was deliberate that it looked like him from behind. He wanted to ask her who she’d intended it to be but couldn’t bring himself to do so. “Do you like them?” she asked. He looked at her to see her sitting forward. Her eyes darted to the pad and and back to his face. He smiled. “Would you consider drawing me?” he asked, suddenly. “In the command room?” Anya asked. “No, probably not. I only have my experts in there. It helps keep things simpler, and it would actually put you in more danger,” Sherdan lied. It wouldn’t put her in danger unless someone outside the country thought she knew things, but he didn’t want her in the command room. She was an artist and didn’t belong in that kind of place. She nodded and the conversation ended. She didn’t ask where he had meant. He didn’t really know anyway. He only mentioned it because he wanted to give her a reason to stay and be happy here. He handed the pad back to her and thanked her for the privilege of seeing inside. He made a mental note to look at her previous artwork on the internet. He felt sure he would find something online as she said she’d been making a living from it. They talked about the news and the outside reaction to the recent things Sherdan had done for a few minutes before Anya yawned. He wanted to ask her questions but he realised it would be better to let her sleep. The nightmares he’d caused were making her tired. “Will you tell me more about what’s in the news tomorrow evening?” he asked as she got up to sleep. “Then I’d be delighted to do so for you,” she replied. He got up and hugged her. She looked shocked but allowed it, although he wasn’t sure why he’d suddenly felt like doing so. When he let her go, she stood in front of him with her eyes downcast. There was an awkward silence while he watched her fidget. She hesitated, then left. Sherdan went back to his seat and poured himself another brandy. He felt like he’d made a little progress but not very much. It would take a considerable amount of time to get her to trust him. At least now he had a very good, work related reason to talk to her for a little while each day. He would do his job better knowing what was being said about Utopia and himself in the public sphere and get to show Anya he cared at the same time. The important thing over the next two or three weeks would be to make himself special to Anya in someway. He didn’t entirely know how to do that but knew someone who would. Sherdan put down his empty glass and wandered through to see his security team. “Of course sir.” Nathan leapt up and followed Sherdan back to the room he’d come from. Sherdan offered him a drink and a seat. He declined the first but took the latter. “What can you tell me about Anya, Nathan?” Sherdan got straight to the point while pouring himself a third drink. “Do you genuinely care sir?” Nathan looked uncomfortable saying this but Sherdan was pleased he was so frank with him. He thought about the question for some time and sat down as well. “She’s a Christian. She’ll expect to be respected as such. You might start by listening to her about exactly why and what she believes. It will help her see you care for her as she is and that you’re not trying to change her into something else,” Nathan explained. He smiled. Sherdan didn’t know whether to feel disgusted or agree. Nathan was right but that didn’t mean he liked the suggestion. So far he’d only told Anya he thought her beliefs were stupid and that wasn’t the most endearing of attitudes. “I don’t have to believe in it too do I?” he asked. “Any other suggestions?” Sherdan waited as Nathan looked thoughtful. “You’re welcome sir. If I think of anything else I’ll let you know.” Nathan got up before he finished speaking. Sherdan waited for him to leave and continued to think over what he’d been told. He didn’t like the idea of talking to her about God but he could spend a little more time with her and surprising her with a kitten would be easy. He got up from his chair and went to his laptop straight away. He sent an email to the girl who could talk to animals and requested for her to find him a particularly affectionate kitten. He told her it was for a friend of his who was missing the family she’d left behind in Britain and he wanted to make her feel less lonely by giving her the cat. With a much lighter heart, and a fresh plan, Sherdan headed upstairs. It was gone four again. He checked on Anya, who appeared to be sleeping better, before collapsing into his own bed. I finally caved in to the amount of people telling me I should read this book and borrowed the trilogy from my mum. I already had some expectations from the few things people had told me. Mostly that although kids killed other kids it was about something deeper than that and much more character and humanity based than about killing. What can I say, I’m a sucker for character driven stories regardless of plot. The book started off well. 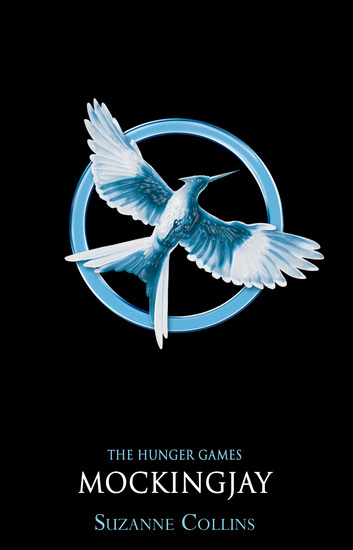 Katniss is a fairly loveable character and believable for her age, which is only sixteen. She has an older male friend and a younger sister and mother she looks after. She hunts, she’s confident and she’s my kind of main character. The book doesn’t waste too much time getting to the point where she ends up knowing she’s going to be part of the next hunger games. Basically a massive gladatorial style games where the participants are teenagers but the viewers are typical roman elite style people, but in the future rather than thousands of years ago. She then spends the next half of the book, getting to terms, training, being driven around the capitol (where the elite live) and generally trying to win over the hearts and minds of the people who are about to watch her kill or be killed. As you’d expect, both her and the boy with her aren’t too happy about this. He isn’t as strong or as prepared as her so he thinks mostly of going out in a way that somehow shows the makers of the games that he wasn’t playing by their rules and mostly she can only think of surviving. The games themselves are described well. You feel the pain and fear and although I expected some kind of display near the end that lets the game makers know they’ve not won I was actually taken by surprise by what happened right at the end. The book felt very well thought through and I really liked where it went and what it focused on. 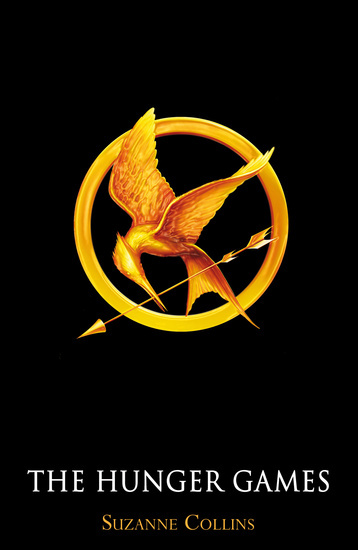 Katniss was a brilliant character who’s emotional turmoil at what she had to go through was expertly told. My only slight complaint was her not being quite bright enough but to be fair for a sixteen year old in her circumstances it probably would have been less believable to have her as intelligent as I’d have liked. There would have been less supporting side characters then as well and I liked all those too.